Zac Efron has come along way in terms of likability since the High School Musical days, but he really hasn't gotten to stretch his wings and see if he can fly when it comes to tough roles. 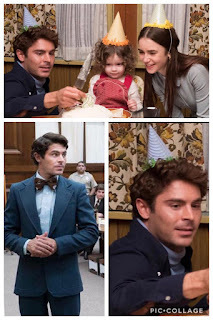 He's magnetic on screen, that type of guy you know you should inherently dislike but you just can't seem to not like him, and has used that to his advantage in comedic roles like Baywatch and as the love interest in a few Nicolas Sparks type flicks, but outside of The Greatest Showman he hasn't really gotten a piece of anything meaty. I feel like that's about to change. 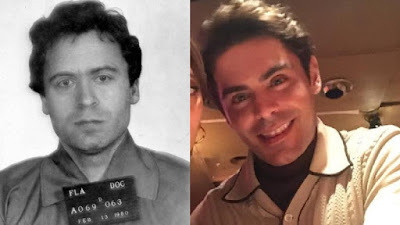 Ted Bundy is the serial killer that shocked the world, not (only) because of the heinous and grotesque nature of his crime, but because he was so...well, normal. Not even just normal, he's described as being overwhelmingly charismatic and handsome. When someone that looks like Ed Kemper or John Wayne Gacy does something like this it almost makes sense, monsters are scary, monsters are ugly. But when the Prom King is driving around with a severed head in his trunk, well then you open up a whole new can of fear, a real-life "wolf in sheeps clothing thing going on". 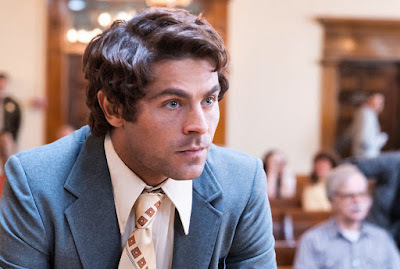 If I'm being honest I thought that Efron might be a little too handsome to play the killer next door. Then I saw this picture. The difficulty with a role like this is that you have to simultaneously be the wolf and the sheep for it to work. He has to be able to convincingly play a pillar of the community and a demented killer at the same time...that's where they psychopathy comes in handy for a real killer but for an actor? It's a test. Travis published an image of the family man version of Bundy the other day in this article about Sundance 2019. The image we have today shows the demon below beginning to claw at the edges in what appears to be a courtroom scene. I know it's only one picture, but it's worth a thousand words and most of those words are intensity. For comparison is a collage of "Nice" Bundy shots, including the one previously posted. It's early, but this has the potential to be the start of Efron's serious acting phase.